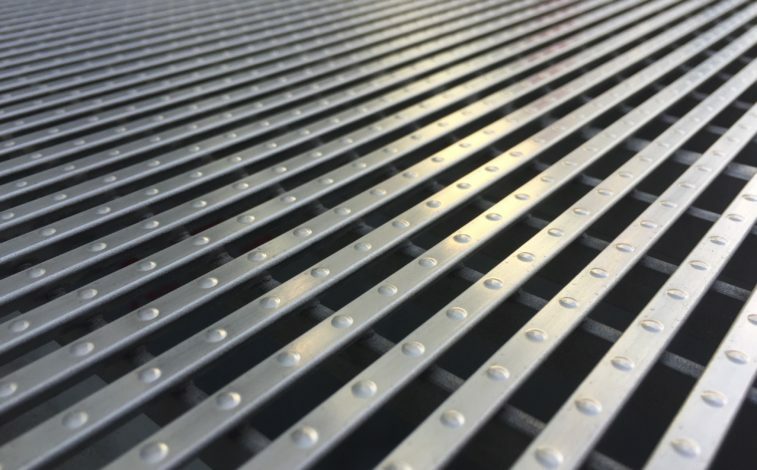 Mascot Engineering’s Heelguard Stainless Steel (304 or 316 grade) grating can be used for any number of applications, both internally and externally. 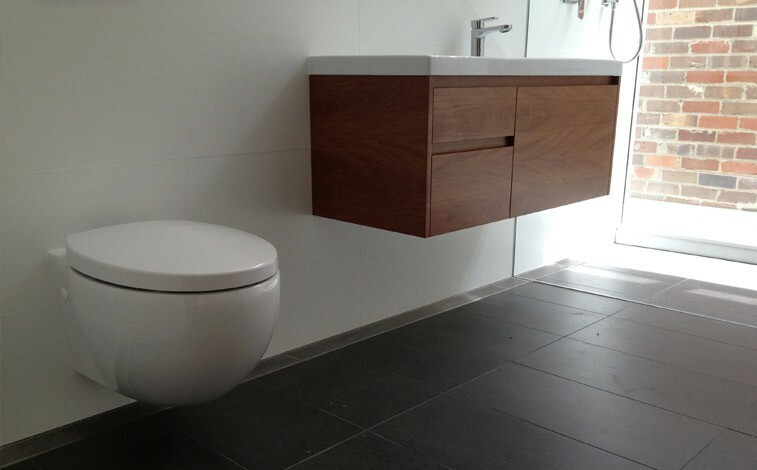 Arrive in style; the simple architectural profile, high efficiency (approx. 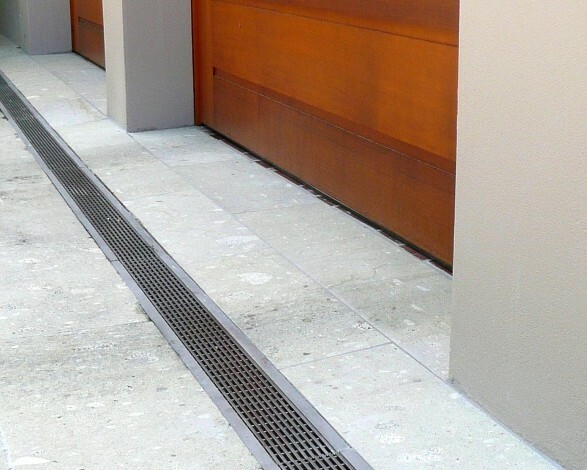 50% opening) coupled with the durability of stainless steel… surely this is the ultimate driveway grate. Available in loadings to suit cars and trucks (up to Class D), Mascot’s bespoke manufacturing service makes it ideal for your next project. 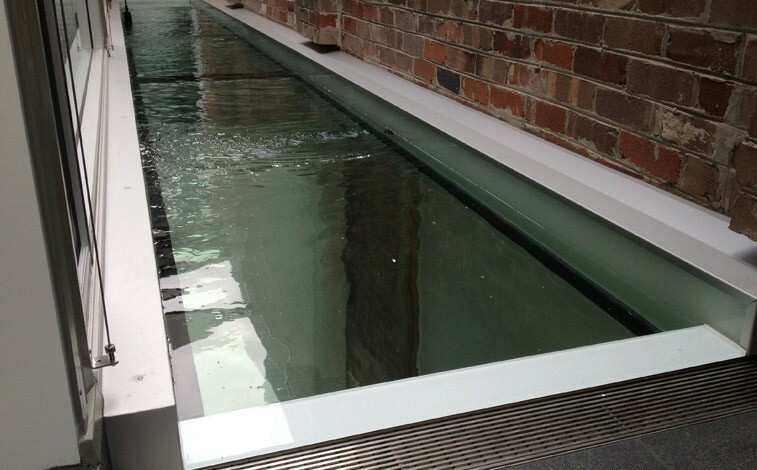 Narrow and slimline, we are capable of producing a shallow channel product that is ideal for suspended slabs. 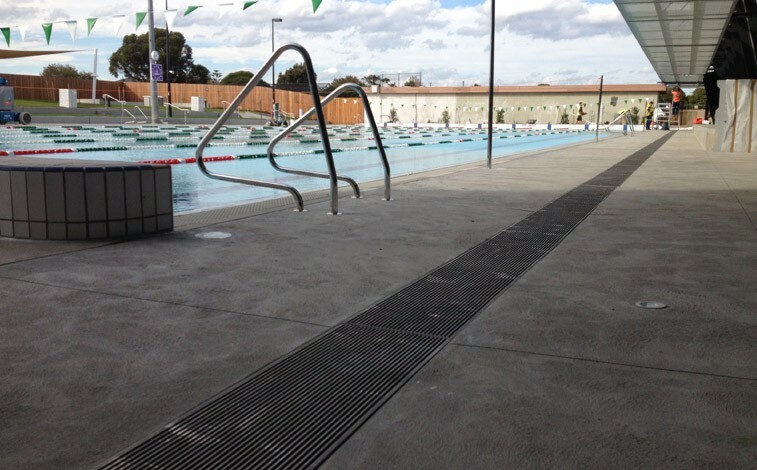 Mitred corners are also easily achieved and with a 50% opening, the product is extremely efficient. 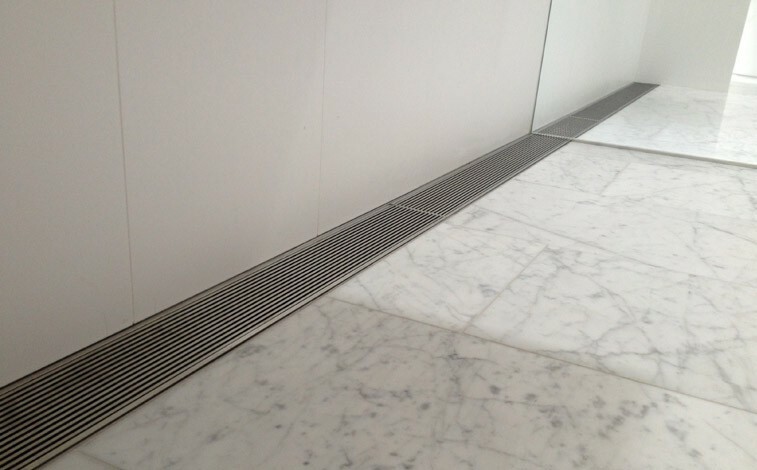 An architectural bathroom drainage solution, Mascot Engineering’s stainless steel bathroom grating eliminates physical barriers within your bathroom… creating a clean and elegant aesthetic without complex floor grading and angle cut tiles. 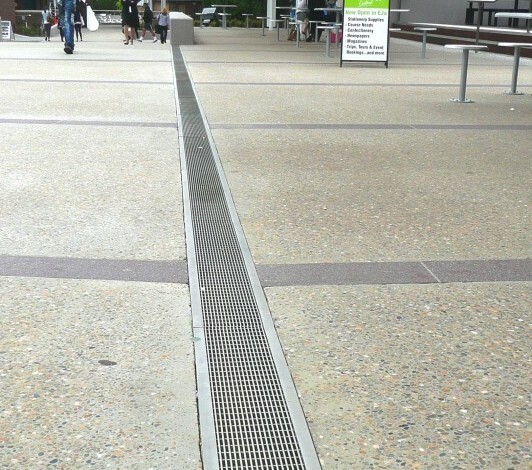 Heelguard Stainless Steel bathroom drainage allows for hobless shower entry and a more level finish in the wet area… ideal for wheelchair access and stool/chair stability. Suitable for high pedestrian areas, such as malls and public spaces. 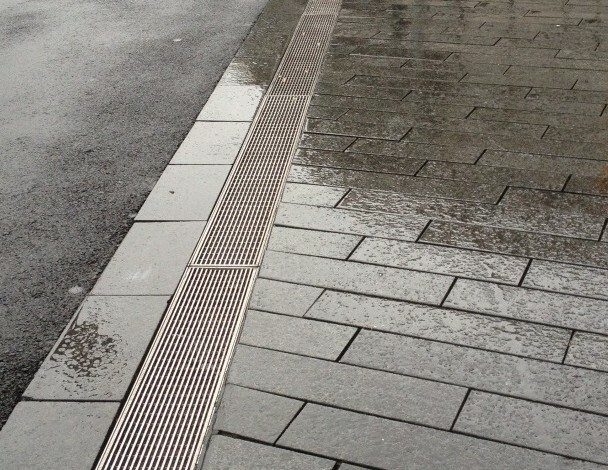 We stock a range of standard sizes, and can easily custom make one to suit your existing opening. 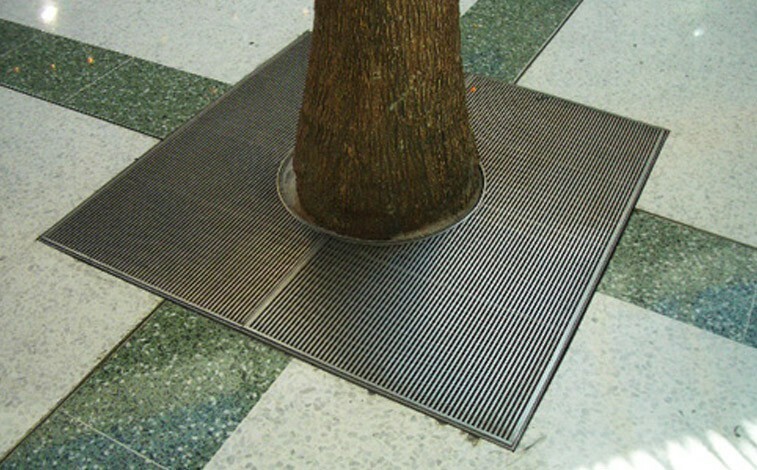 Available in load ratings up to Class D (AS3996), Mascot’s heelproof grating is ideal for your next project. 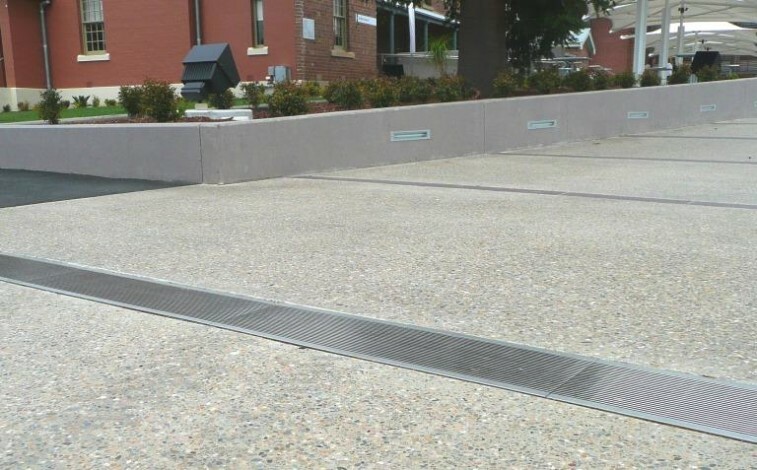 Our flexible manufacturing process allows for the use of grade 316 stainless steel as well as custom lengths, mitred corners and any number and location of outlets. 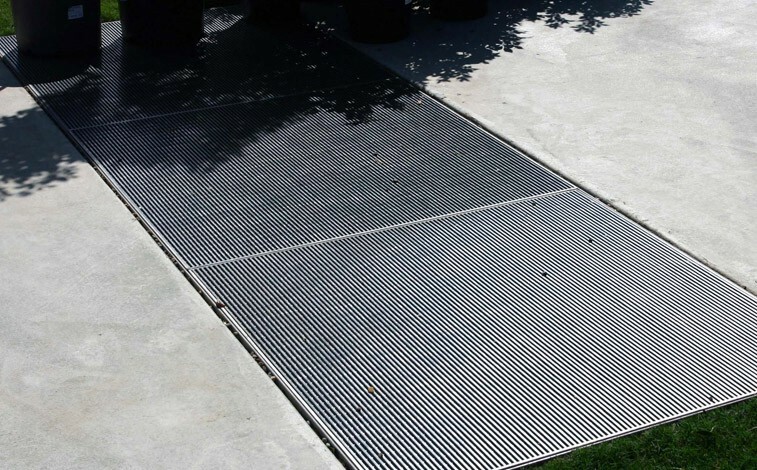 Stainless Steel’s durability ensure a longer life span to plastic pool grating. Only limited by your imagination. 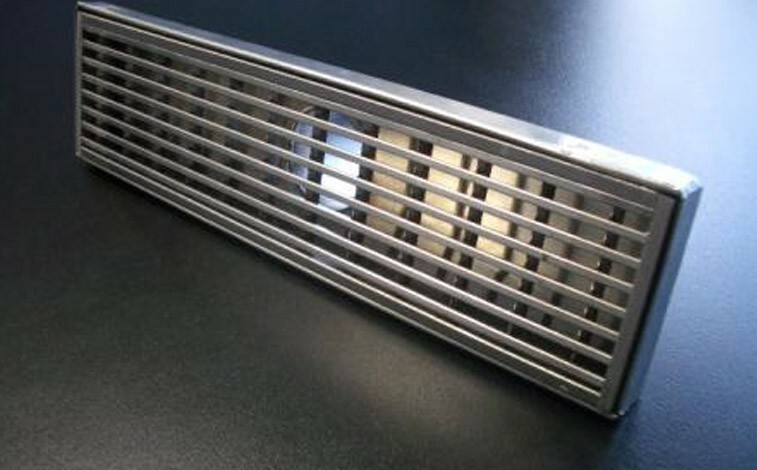 Lights, holes, mitred corners… just about anything can be done with stainless steel wedgwire. 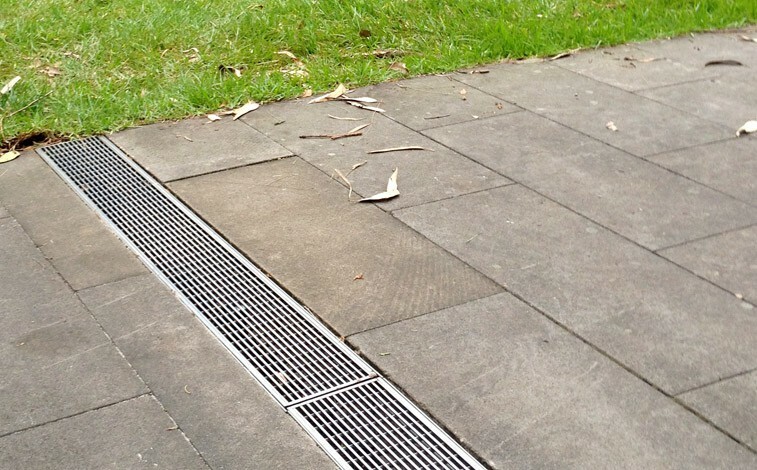 Contact the Mascot 4YOU team on 4you@mascoteng.com.au to run through your vision.